Tangerine tree growing tree of the genus citrus also known as Citrus tangerine or Tangerina. 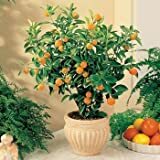 Tangerine tree grows as perennial evergreen. 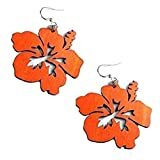 It can grow in tropical, subtropical or mediterranean climate and growing in hardiness zone 9+. 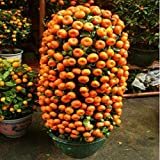 Seeds Shopp - 10 seeds Balcony Patio Potted Fruit Trees Planted Seeds Kumquat Orange Tangerine Citrus New Arrival ! 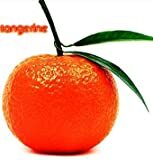 Is it necessary to graft in Tangerines Orange? What can be done with big quantities of Tangerines fruit?